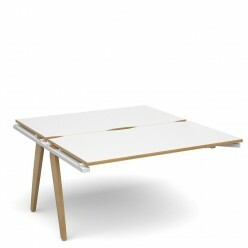 White desktops with optional oak edging. 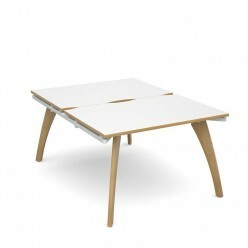 Matching solid oak tapered legs. 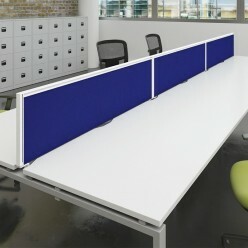 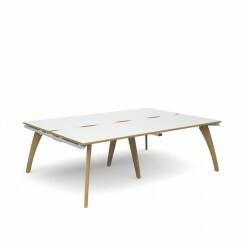 Double sided bench desks with stylised oak legs, optional addons to extend the desks. 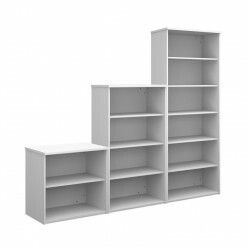 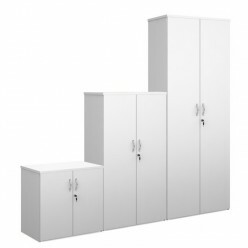 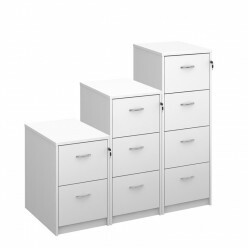 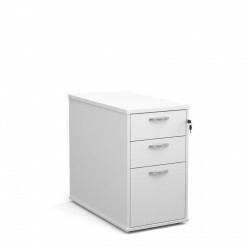 Matching white or oak office storage and filing.